ST. GEORGE — Members of the Ironman 70.3 World Championship site selection committee, along with the regional operations director, met Tuesday with influential Washington County community members and members of the Southern Utah triathlon community as they visited the area as part of their three-city tour to choose a host city for the 2017 Ironman 70.3 World Championship. 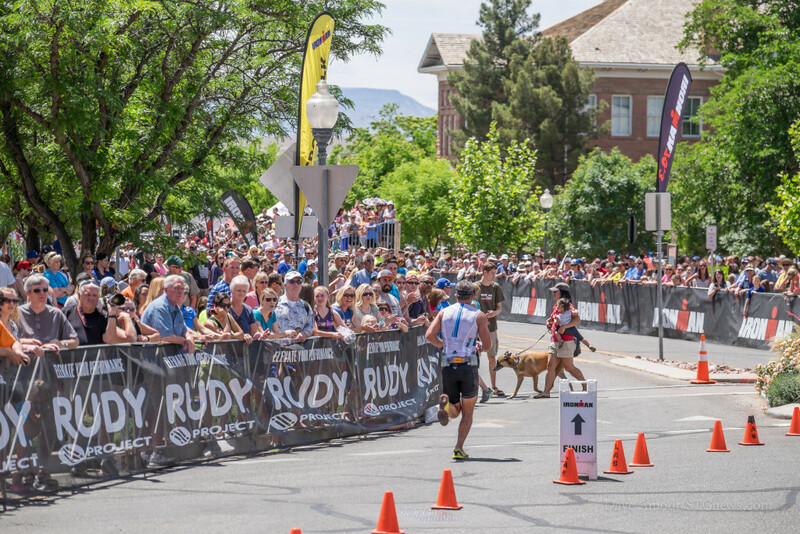 In May, it was announced that St. George — along with Chattanooga, Tennessee, and Lake Placid, New York — was selected as a finalist city to host the prestigious qualifiers-only race. All three cities currently host an Ironman 70.3 or Ironman event. 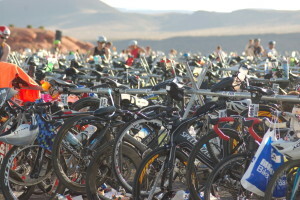 St. George is currently the host of the Ironman 70.3 St. George North American Pro Championship, which is held each May. Tuesday’s visit was a “bell-to-bell day,” Kevin Lewis, director of sports marketing for the St. George Tourism Office, said. The day’s visit began at about 7 a.m. and continued well into the evening hours. Throughout the day, the selection committee was able to view the St. George course and meet with key members of the community, including the mayors of each city the course runs through and public safety personnel, state park officials and local politicians, Lewis said. The tour started at Sand Hollow State Park, the site of the swim for Ironman 70.3 St. George, where the committee was treated to a boat ride on the water and a glimpse of what swimmers will experience, Lewis said. Along the course, several key participants in the Southern Utah triathlon and endurance sport community stopped by, including, but not limited to, Southern Utah Triathlon Club member and Ironman 70.3 World Championship qualifier Tara Morris, St. George Marathon winner and Olympic Marathon Trials qualifier Amber Green, and Washington County commissioner and Ironman 70.3 participant Zachary Renstrom. On Pioneer Parkway, part of the race’s run course, a small aid station was set up with drinks, and the selection committee members were able to meet with Volunteer Director Colby Neilson and other volunteers who are crucial to the race’s success. As part of the finalist city announcement in May, Ironman also announced that the World Championship, in order to accommodate a large number of global qualifiers, would become a two-day race that would see all the women competing on the first day and all the men competing on the second day. In order to have the available manpower and assets needed to pull off a two-day race in a community that is mostly quiet on Sundays, Lewis said, the tourism office, the cities and the Washington County School District have been working together to come up with a compromise. If St. George is chosen, Lewis said, the school district has offered to adjust their school calendar to make the Friday of race weekend a no-school day, which would allow both the buses and facilities to be used for the race, as well as curb traffic and provide a bigger volunteer and spectator base. If St. George receives the bid, the race will take place Sept. 8-9, 2017. 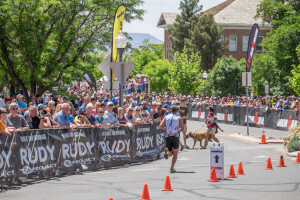 Being chosen as the host site not only represents a significant financial impact — in 2014, Ironman 70.3 St. George brought in an estimated $5.5 million to the community, and in 2015, the Ironman Foundation distributed approximately $55,000 in grant funding to the greater St. George community — but, Lewis said, an event like this also helps brand St. George as an active and adventurous city to live in and visit. “Golf is only a piece of the puzzle now,” Lewis said, adding that he sees the area’s brand transitioning into one that compliments the energy of the surroundings and the public’s desire to be active and outgoing. 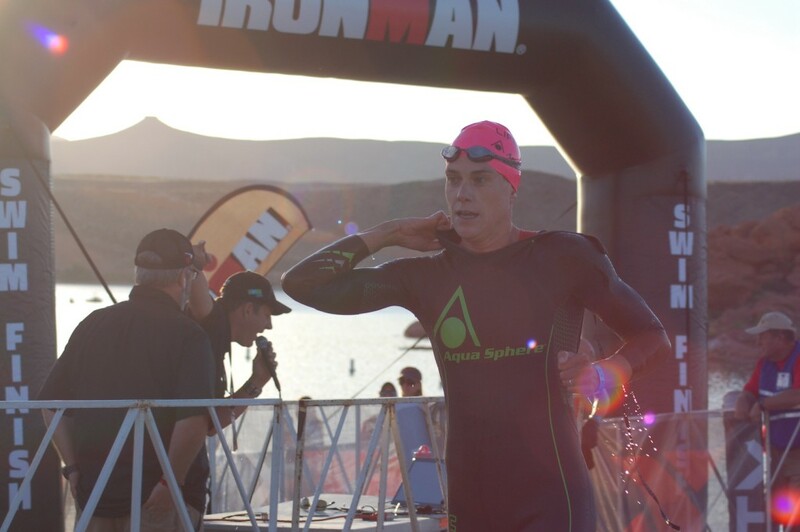 Ironman is expected to announce the selected host city near the end of August, Lewis said, and he feels that Tuesday’s visit gave the community an opportunity to show how genuine it is and how much the people love this type of event without going overboard.